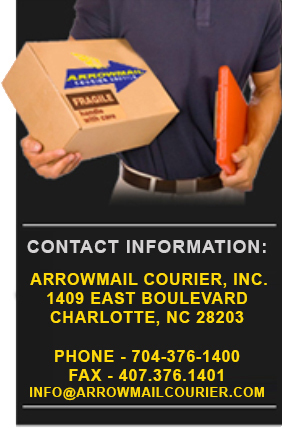 The ArrowMail Courier Service team of professionals is dedicated to providing the highest level of service, value and professionalism to our clients. Our goal is to constantly improve our services to meet the changing requirements of our clients. Since 1986, we have been committed to the promotion of excellence and reliability and understand the direct relationship to our success. Why would you choose ArrowMail Courier Service over other providers? • Dependability comes to mind first. It’s important to have messengers who are professional, courteous and competent. After all, the messengers are delivering to YOUR customers. ArrowMail Courier Services screens all employees before hiring – We are Bonded and Insured. • Insurance covers every delivery. Can your courier service provide you with a certificate of insurance within 24 hours? • Knowledgeable Customer Service Representatives answer the phone promptly. At ArrowMail Courier Service, a machine won’t answer your call, and you won’t be put on hold forever. We provide instant answers to all of your service and billing questions. • Personal service assures quality. We’re not too large, allowing us to know our customers very well – but we are also not too small to handle many deliveries at a moment’s notice. Unlike other delivery services, we charge no fee to open and maintain an account. • Speed is our specialty. We offer the expedited deliveries in the city and surrounding Charlotte Metro area according to your needs. We can save you time and money. Why pay employee benefits and have vehicle expenses? We will absorb all those extra costs for you. Need a tax break? You can get one just for doing business with us. We will always meet our client’s delivery and pick up needs in a timely, orderly and courteous manner. – We will, at all times, ensure our customers confidentiality and discretion. – We will never have hidden prices or small print.